Dreich is the Scots shorthand for dark and dreary days of bleak, cold and depressing rain. That should work well for English and Welsh voters too! Smirring is an altogether gentler rain although responsible for some real bad hair days. Most women could make good use of a (printable) word to describe that fine, drizzling wet you can’t quite see, that comes with a powerful frizz action. When you give something a shuggle you shake it about, or loosen it up a bit. Perhaps a new, post-election coinage might encapsulate politicians shuggling along together in coalition? For all those voters who keep changing their minds, there’s swithering, which is almost onomatopoeic. And lastly, there’s my particular favourite: wabbit, a unique mix of tired and exhausted, defined by a Glaswegian friend as feeling ironed to the bed sheets. A fair few politicians might find that a useful term come May 8. So, I’m looking forward to an injection of vividly descriptive new words for our translators to get their heads round. Can we also anticipate a run on our localisation services? After all, whatever the precise outcome of the election, it’s a fair bet that many of the new MPs, regardless of party, will have a worldview and familiar cultural references very different from the current Westminster bubble. As someone who pays close attention to just how connected politicians are to the electorate, I can’t help wondering where the SNP leader Nicola Sturgeon gets her messages? In Scotland, when people talk of getting the messages, they’re not talking focus groups and hard-working families. No, in Glasgow, Edinburgh, St Andrews and Fort William, getting the messages means you’re just popping off to Tesco or the Co-op, not taking in the kind of electioneering designed to persuade us that our politicians really do know the price of a pint of milk! This carefully localised message was crafted for a British audience by me, Tess Wright, Cintra Translation’s CEO. Our translators and interpreters are experts in localising your marketing materials wherever in the world you do business. 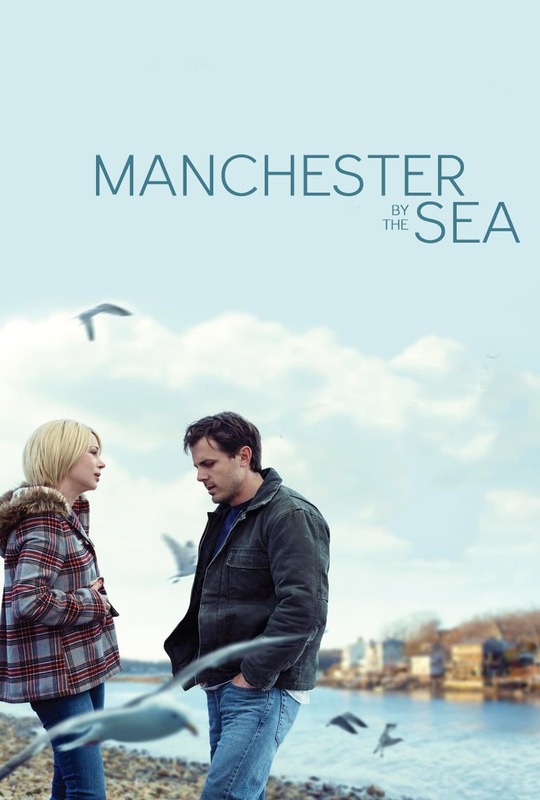 Manchester by the Sea (2016) Full Movie Online Watch Free , English Subtitles Full HD, Free Movies Streaming , Free Latest Films. Title : Manchester by the Sea. ‘Manchester by the Sea’ is a movie genre Drama, was released in November 18, 2016. Kenneth Lonergan was directed this movie and starring by Casey Affleck. This movie tell story about After his older brother passes away, Lee Chandler is forced to return home to care for his 16-year-old nephew. There he is compelled to deal with a tragic past that separated him from his family and the community where he was born and raised. So..do not miss to Watch Manchester by the Sea Online for free with your family. only 2 step you can Watch or download this movie with high quality video. Come and join us! because very much movie can you watch free streaming. For the fourth and final blog in our Planning to export series, we’re answering the question we’re most often asked by companies thinking about exporting: How can we cut the cost of exporting without cutting corners and damaging our reputation? There is financial help out there for first-time as well as experienced exporters, most of it in the form of grants towards specific types of expenditure – research, translation and interpretation, and training your staff. In fact there are real financial incentives to seeking advice even when your export plan is still very much at the back of an envelope stage. Where to start? You really can’t do better than head straight to the UKTI and the British Chambers of Commerce. 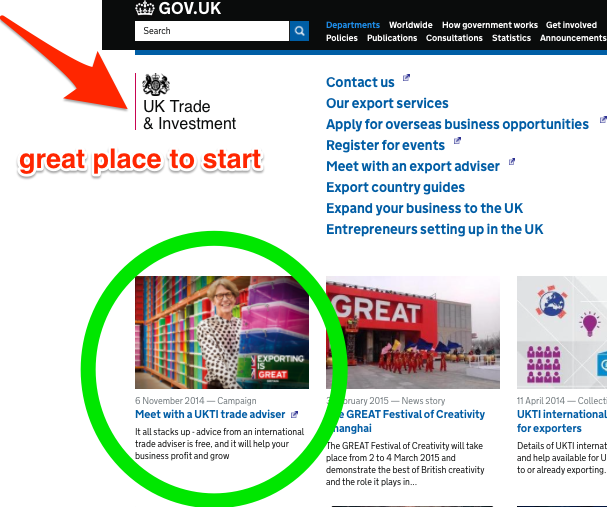 Find your local international trade team on the UK Trade & Investment website at www.ukti.gov.uk/export/unitedkingdom/contactus.html. 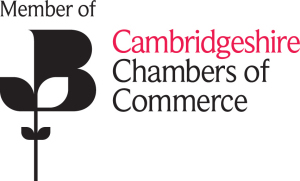 Visit www.britishchambers.org.uk. Have look at our post, Using – and affording – commercially available sector-specific market research While commercial market research doesn’t come cheap, both the UKTI and the British Chamber of Commerce do offer help with projects either done in-house or by a specialist agency. Get leads for free Once you’re plugged into the UKTI and Chamber of Commerce networks you can sign up for their newsletters and help forums. All free. 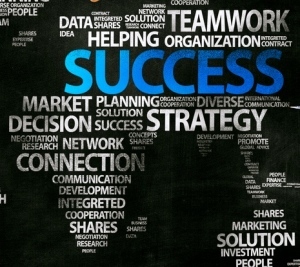 They’ll invite you to free or low-cost seminars, webinars, information and networking events. All can be valuable sources of market research, contacts and even business leads. Check out Innovate UK’s EU Enterprise Network site too. They promote sector-specific opportunities, including details on grant funding in agri-tech, biotech and engineering innovation. The third in the Cintra Translation Planning to export? series focuses on finding and affording relevant commercially available sector-specific market research. Hot drinks, cold drinks, men’s grooming products, cold and cough remedies, small appliances, medical appliances. Whatever market you’re in, and wherever you want to export, commercially available reports will help you crunch the numbers and get a feel for the extent of new opportunities. Before you buy, though, get in touch with your local UK Trade & Investment trade team. Ask them to talk you through their Export Marketing Research Scheme. It’s free, and in addition to helping your in-house staff to research markets alongside their day job, UKTI advisors will help with briefing any specialist marketing agencies you may decide to bring on board. And so that you’re not reinventing the wheel on research that’s already out there, the UKTI will also help you pick a path through the stacks of commercially available in-depth reports. Best of all, they can offer some financial help towards buying relevant off-the-shelf publications. Leaving aside off-the-shelf publications for a moment, we’ve mentioned in a previous blog that you can actually commission British consulates overseas to compile information specifically for your business. The Overseas Market Introduction Service (OMIS) is accessed through the UKTI, and is a fast and cost-effective way to get reliable, up-to-date answers to country-specific questions. Typically, costs for full in-country reports are equivalent to half a long-haul airfare and they’re researched by people with local know-how. What else is out there? Euromonitor and Mintel are the big names in commercial market research. Each year Euromonitor publishes more than 17,000 reports on 27 industries, 200 sub-categories and thousands of companies in 80 countries. Mintel has a similar reach, and like its competitors, cuts its research into packages on new products, trends and market size. Reports don’t come cheap, but this is exactly why it pays to find out more about theUKTI Export Marketing Research Scheme. Avoiding risky business A bit further down the export route, once you’re considering hooking up with new partners and customers in your marketplace, Experian International Business Reports can help you manage risk. Available through your local chamber’s export services, and the British Chambers of Commerce website, these reports help you do your due diligence on over 45 million businesses in more than 238 countries worldwide. Top Tips. A subscription to your trade association could repay you handsomely with sector-specific knowledge and experience of markets abroad. 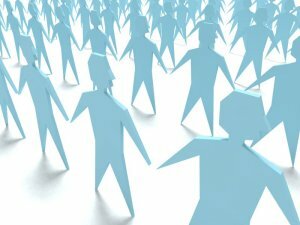 Find out if your sector is represented at the Trade Association Forum. What do you do with all that research once you’ve got it? We come back to the value of your local UK Trade & Investment trade team. They’re the ones with the expertise to help you shape it all into a plan and then turn that plan into profit! What’s on offer through the UKTI – the British Government’s Trade and Industry arm. Expertise on tap from the British Chamber of Commerce and your local Chamber of Commerce. Planning to Export? 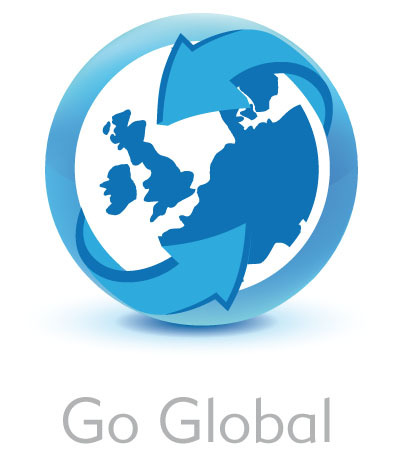 Go Global with support from your local Chamber of Commerce. The second in Cintra Translations’ series on how to research new customers and markets abroad focuses on the ways your local Chamber of Commerce can plug you in to a hugely valuable international network of expert advice and practical support. 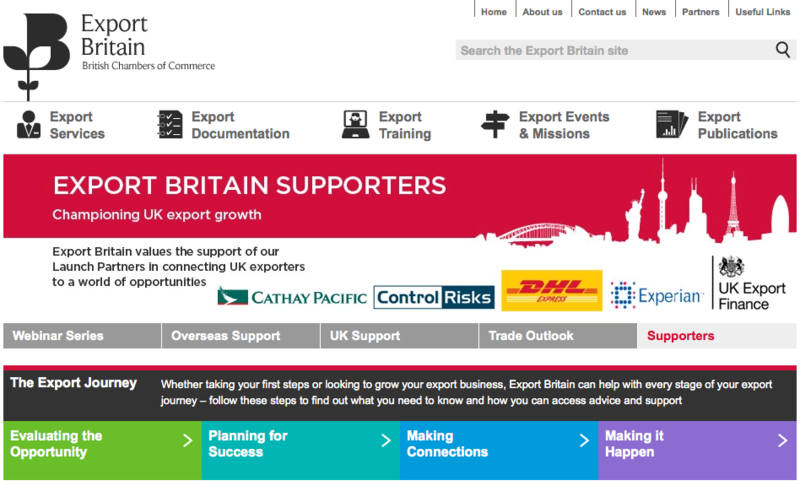 First stop is the British Chambers of Commerce international trade website, ExportBritain. For companies at the early stage of evaluating opportunities and researching target markets, the British Chambers’ Overseas Market Intelligence services offer regularly updated market snapshots sharing data and insight. Use the International Directory to get in touch with British Chambers located overseas in just the markets you’re considering. 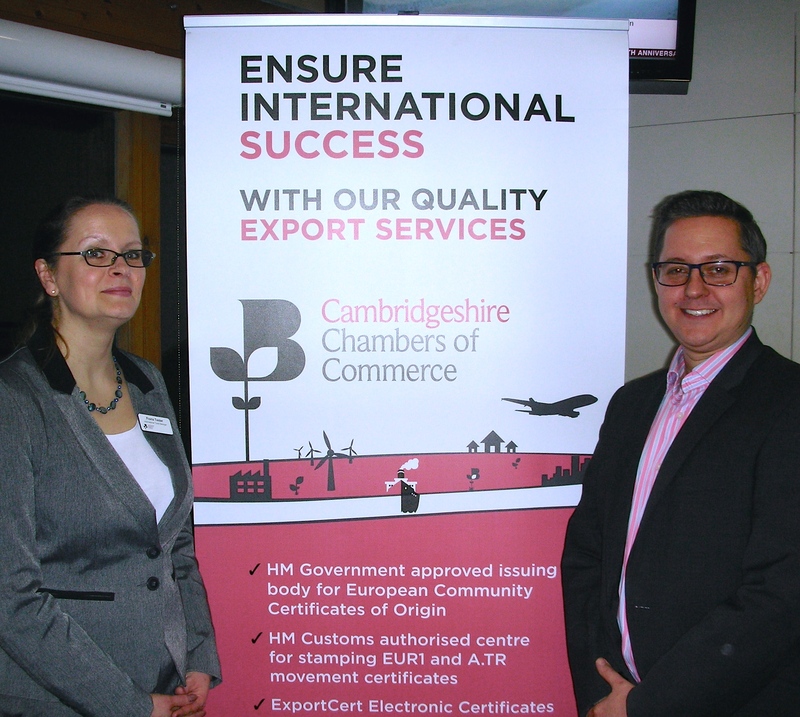 Your local Chamber of Commerce will already be running regular events highlighting opportunities for export. There’s real depth and breadth to seminars and workshops exploring potential growth markets. Over the next couple of months alone, the Norfolk Chamber is assessing opportunities in Kuwait; Surrey is looking at doing business in Brazil’s massive marketplace, and Cambridgeshire is planning an event with the UKTI to help businesses find out more about what wealthy Saudi Arabia can offer UK exporters. Find out more on the events page at Export Britain: http://exportbritain.org.uk/events/ You’ll also find webinars you can attend from your desk or your iPad. Expert-led discussions on prospects in India and China, and in niche sectors such as agri-business opportunities in Colombia on are on the current schedule. Are you ready to export? While you’re looking at how ready and receptive overseas markets will be for you and your products, how prepared are you to take the leap? Have you got the staff, skills, resources and logistics in place to make a go of it? Probably not – at the moment – but chances are, it won’t take much to fill the gaps. Find what they are and how to get in shape via the Chambers’ Export Readiness Assessment service. Today on the Cintra blog we’re kicking off a four-part mini series that will help you find, research and compare potential new markets for export. We’ll also point you to sources of information for insights on the spending power, habits and preferences of your new customers. And you won’t want to forget a thorough analysis of competitors all after slices of the same pie. Sounds time-consuming and expensive, not to say daunting? 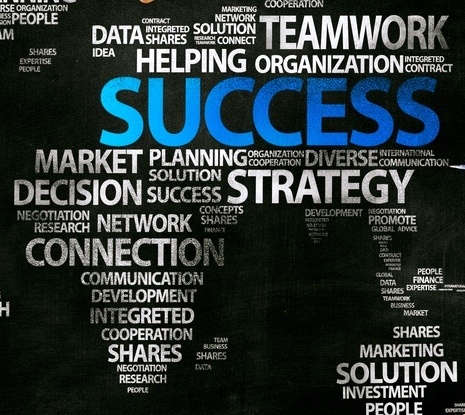 Yes – you certainly need to invest time and there are costs to any expansion plans. But don’t be put off: there’s plenty of expert help around. Much of it is free online. But there’s no substitute for sitting down face-to-face with a real expert, though, and the good news is, the UK Government agrees. In its search for the income and boost to UK growth exports deliver, there’s substantial help available free and at heavily subsidised rates through the UKTI – the British Government’s Trade and Industry arm. That’s the subject of our first blog here, so read on. In blogs to follow we’ll explore how membership of your local Chamber of Commerce will tap you into an experienced network, offering help with the challenges of logistics and paperwork, as well as marketplace snapshots and in depth analysis. And we’ll explore the range of financial help, including grants to help you afford commercially available sector-specific research from the big names in market analysis. 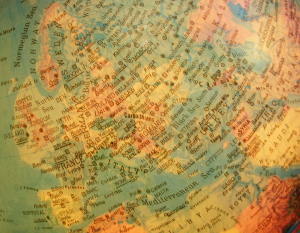 There are even grants towards professional translation and interpreting services, so do stay tuned! We’ll start with what’s on offer from the UKTI: support, advice and even inspiration for growing your business. You wouldn’t necessarily expect it from a government organisation, but in our experience, the UKTI’s big strength is in its personal touch. 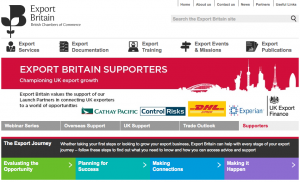 Start by booking your free appointment with one of the UKTI ‘s Export Advisers. Why? On average, companies earn £100k in additional sales within 18 months of working with UKTI, and most of the advice given by their trade experts is FREE. Go to export events If you’d prefer to dip in just a toe before getting up close and personal on a one-to-one level, look out for regular events with an export focus organised by the UKTI. These offer a chance to network with other companies at different stages on the export route. Get the rest of the Cintra Go Global Planning for Export Success series straight to your inbox. Sign up in the left-hand navigation bar on this page. 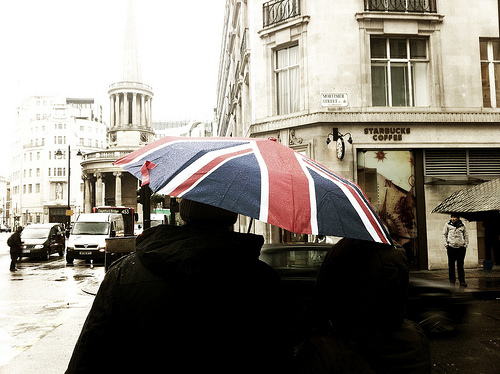 One in four people worldwide understand English at a useful level. Three out of four don’t. Let me introduce my cousin Tina. She’s a primary school teacher living and working in Bielefeld. Naturally enough, German is her first language. Fortunately for her monoglot British relatives though, Tina is one of the 1.75 billion people worldwide who use English very effectively as a second language. While my German was not so much taught as inflicted by teachers drilling grammar by rote, Tina had fun singing along to the Rolling Stones and watching American films. No prizes for guessing that when we get together I’m doing the usual British thing, squirming with embarrassment because I can’t switch between languages as she does. The short answer is that most of your customers aren’t in business, and whatever they are doing, they most probably aren’t doing it in English. Just like Tina when I’m not visiting, your customers are getting on with their own lives – in their own language. Tina’s got two children and elderly parents to care for. Like all customers everywhere, she’s got a life, and she lives it in her mother tongue. So while Tina is happy chatting with me in an English punctuated with a little German and some sign-language over lunch in a Bielefeld bistro, when it comes to spending her hard-earned cash, she, quite reasonably, prefers to weigh up the pros and cons of features, benefits, price, quality and delivery options in her own language, thank you very much. 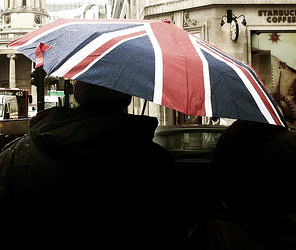 Six more reasons sticking with English will lose you export sales. 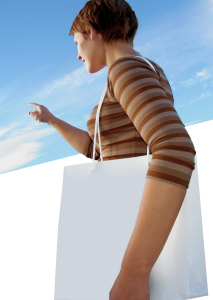 Or – why my cousin Tina – who could be your next customer – prefers to buy in her own language. Wenn Sie mich verstehen, dann werden wir uns gut verstehen! Guest blogger Kaye Coleman-Rooney runs marketing communications agency, Doing Words . She’s a member of Cambridgeshire Chamber of Commerce Communications sector and is a coach with Accelerate Cambridge, part of the Cambridge Judge Business School.